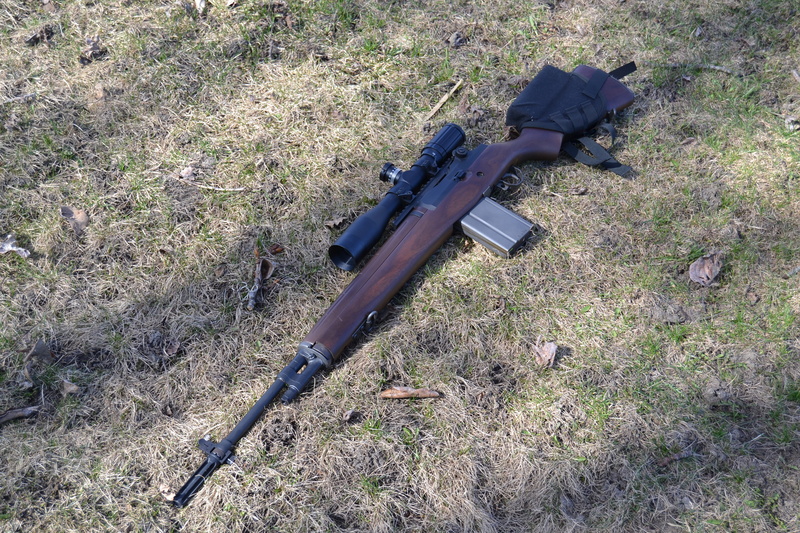 I’ve owned a few M14-type rifles – about 8 of the Chinese Norinco copies, a SAI ‘Loaded’ M1A and a SAI National Match M1A but for a very long time I’d dreamed of owning an absolutely top of the line civilian version of the famous American M14 rifle and on April 9th last year I took delivery of a rifle that I’d hoped would fit that bill – a LRB Arms M25 Medium Match. LRB Arms – full name, LRB of Long Island Inc – can be found online at http://www.lrbarms.com and while I’ve never met anyone who works there, I’ve dealt with them via email and phone and found them to be absolutely fabulous to work with. Even though I live in Canada the process for ordering my rifle from them was a breeze – place the order, when it is ready they ship to a US FFL whose details you have given to them. The US FFL then ships to Canada using an importer you choose and when the rifle arrives in Canada you pay the customs and tax and the rifle is shipped to you. Process from start to finish was : I ordered on Feb 13th 2014; rifle was built on Feb 27th; test fired on March 6th and in my hands on April 9th. A M25 Medium Match receiver – more about this later – a LRB bolt; a LRB/Saco-Lowel medium weight Chrome moly 1:12 twist barrel; a National Match (NM) Flash hider, NM Rear Sight; NM Spring Guide; NM Unitized Gas Cylinder (I chose Army way over USMC/Navy way ); a match trigger group and a Boyds walnut stock. 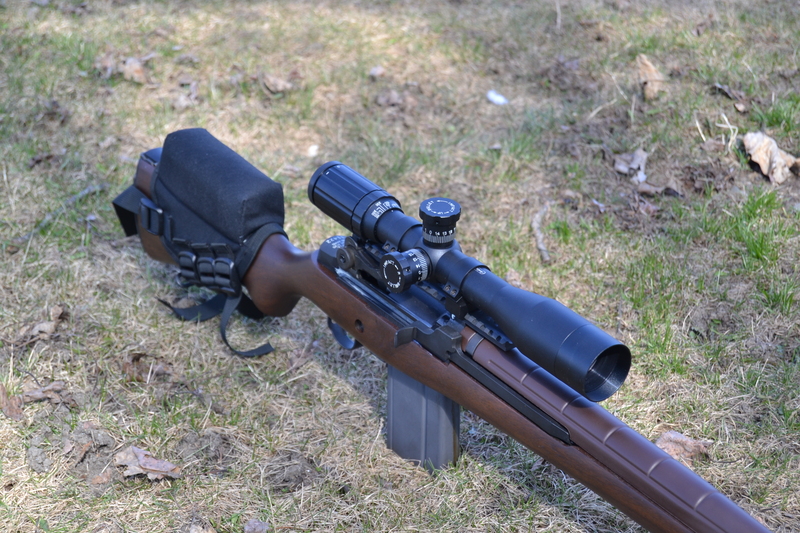 Tired of fighting with the age-old problem of mounting a scope and not wishing to loose my sights by using the CASM mount, I went with the M25 receiver as it has a mounting solution built in to the receiver. 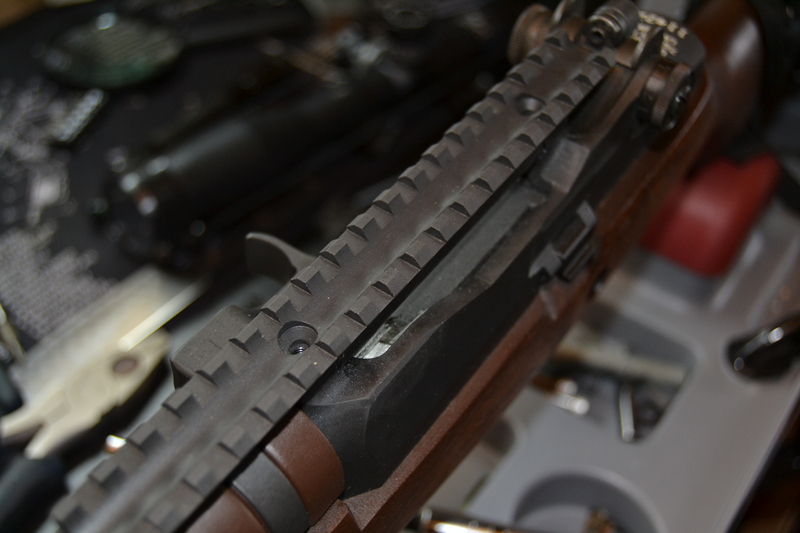 The rifle came with a regular length rail and recently – to allow for more flexibility – I bought the extended rail. 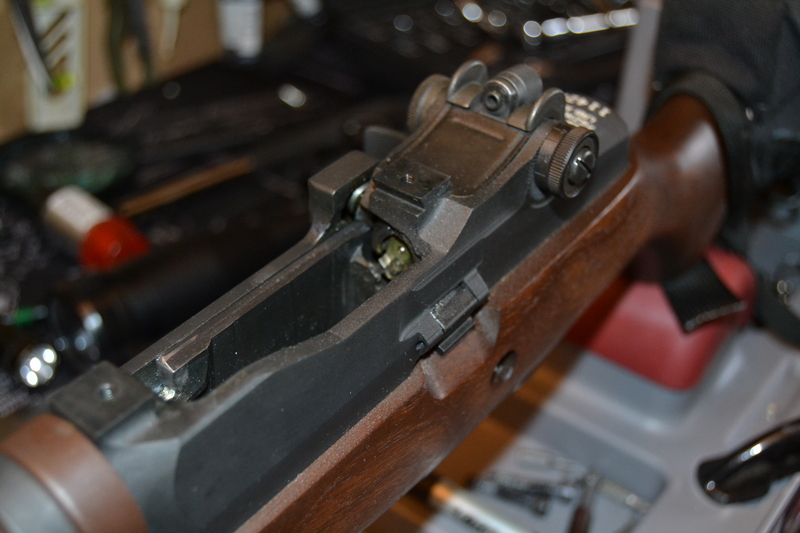 When my rifle arrived a year ago I took it apart and carefully examined everything – not a flaw could be found; no tool marks and no suggestion of anything other than the very finest workmanship. 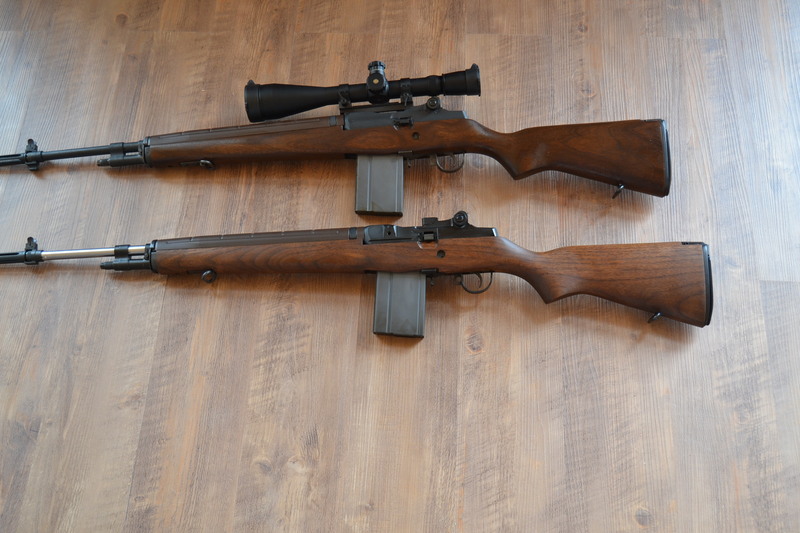 Comparing the rifle to the Chinese M14’s wouldn’t be fair given the price difference but I compared it to my Springfield Armory National Match M1A and it compared very favorably. 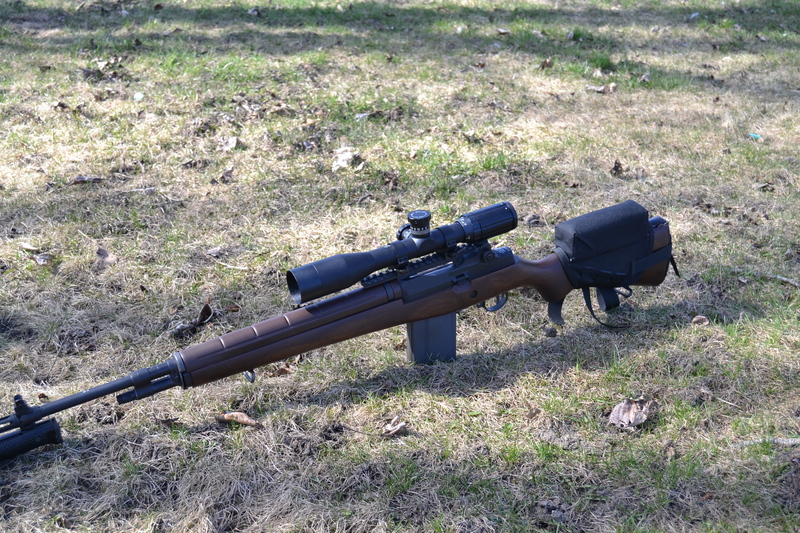 So much so that the SAI NM M1A was, subsequently, sold. 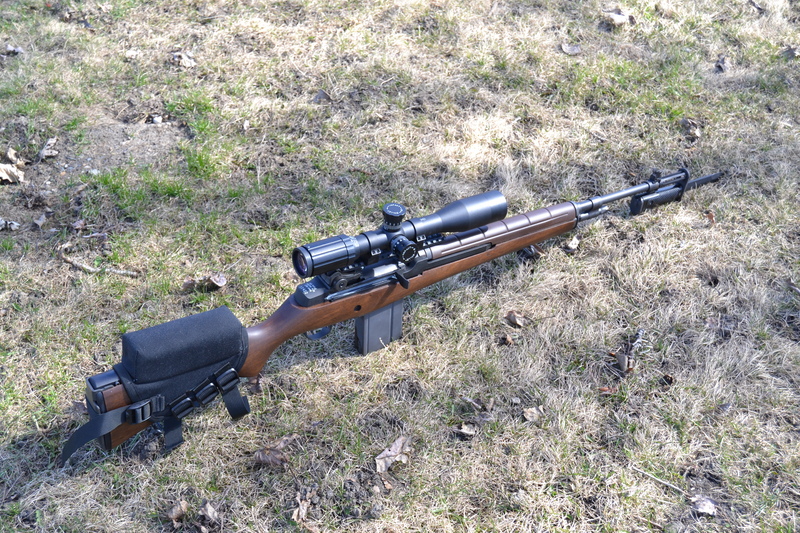 While semi-autos will never ( in my opinion ) match the best of the bolt guns in accuracy this M25 is a consistent sub MOA rifle which is very, very acceptable for any M14 platform rifle. Below is a picture of a target shot last year after a load had been settled upon. 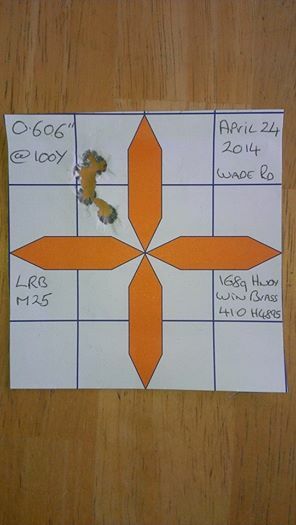 Five rounds at 100 yards – just outside a half-inch. 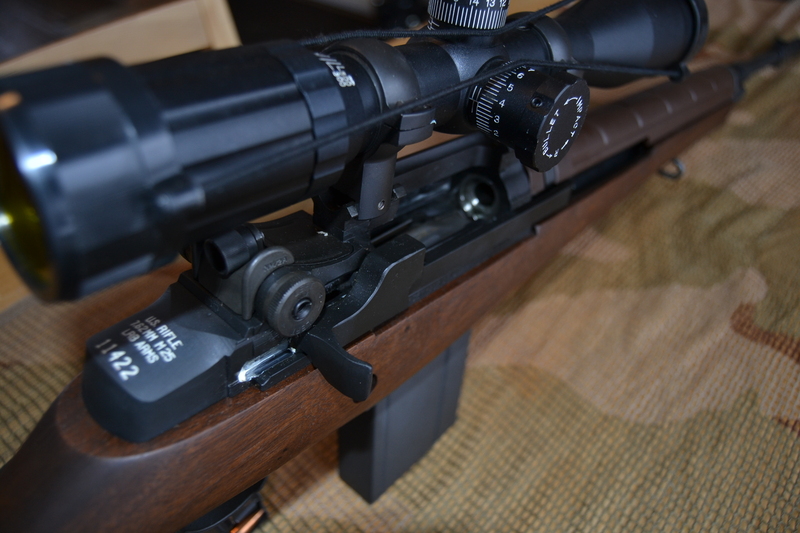 Throughout my time with this rifle it has always performed perfectly and I consider it to be an example of the art of making a rifle. I was worried that I’d have to sell it a while back but fortunately that crisis passed and she is now out of danger. I consider a rifle like this to be an ‘heirloom’ piece that hopefully can be passed down and enjoyed for generations to come. They are not that rare surely. I own one in a Sage chassis. 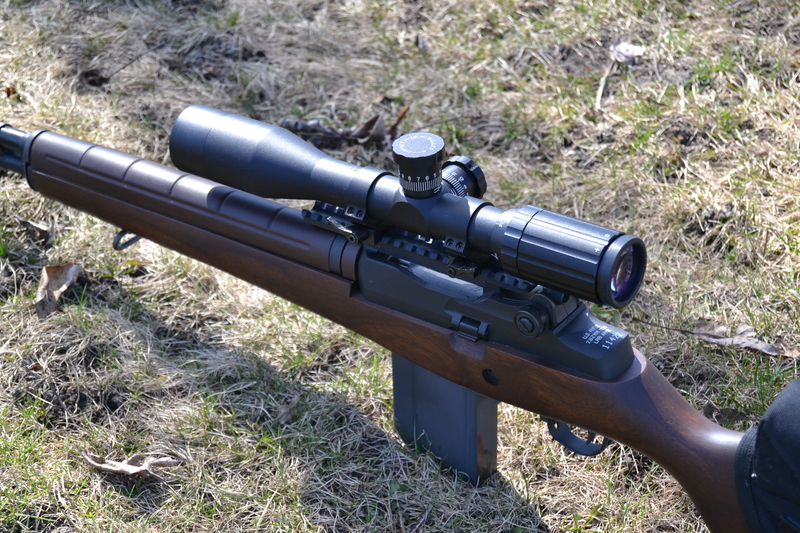 What a great rifle with proformance to boot! 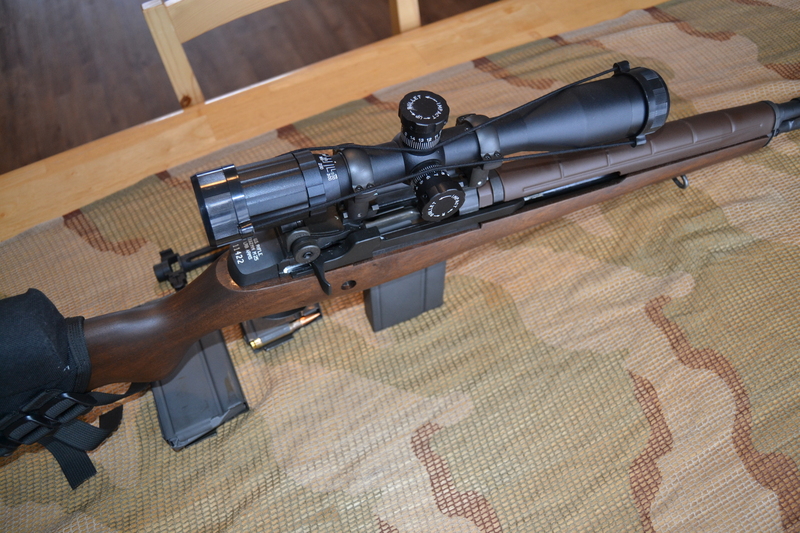 Indeed it is a great rifle – honestly, it is worth the extra money. How much it cost ? Thanks! I almost place an order with SEI. Truly a rare bird my fellow stink fingers! Those rings were the TPS mediums. I like the TPS brand – good value. Hello, I am just wondering if you have anymore updates on the LRB. I am getting a quote for a LRB and would like to know if there were any other things you would like to add to the review. Nothing to add except for the fact that I remain convinced that a LRB is the best or close to the best M14-type rifle a person can buy !